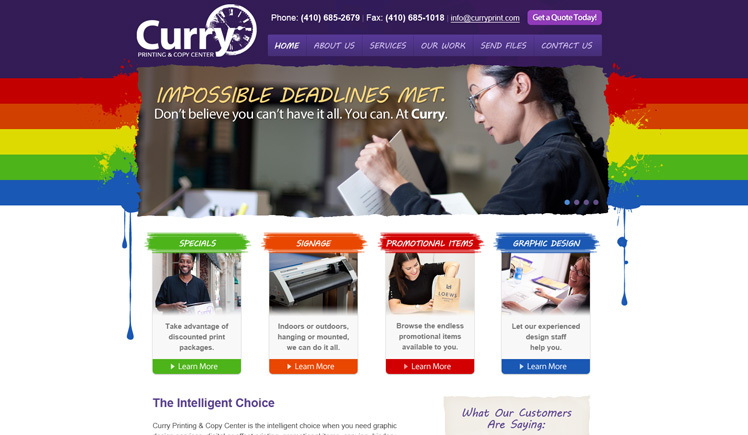 Curry Copy & Print Center is a Baltimore based printing company committed to delivering their products on time. They were looking for a modern, colorful and edgy website design that utilized their “paint splash” branding, while still being user-friendly and easy to navigate. 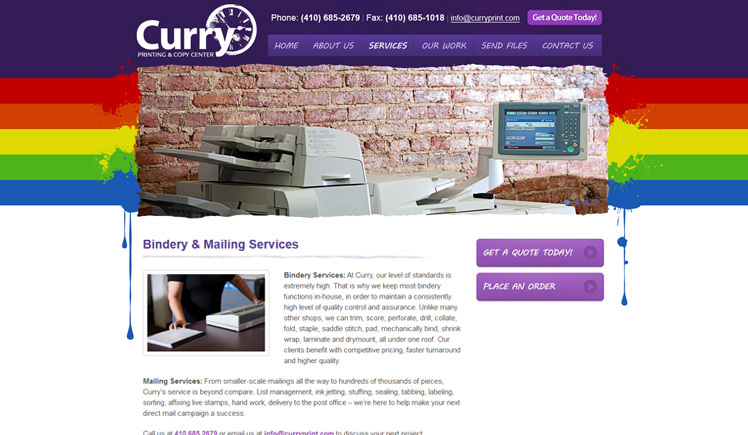 They also required a file upload feature on the site for customers to submit their designs and collateral for printing. © Copyright 2014 David McQuay / Hi-Fi Web Design.